It’s been a little over a week since former WBA/WBC junior middleweight champion Saul “Canelo” Alvarez (44-1-1, 31 KOs) won a controversial 12 round split decision win over Erislandy Lara (19-2-2, 12 KO’s) in their fight at middleweight at 155, and it’s clear that boxing fans are even more undecided now than they were back then. 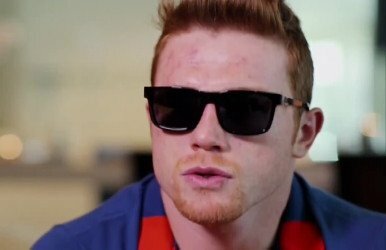 Last night’s replay of the Canelo-Lara fight, including the ALL ACCESS epilogue showing, showed that Canelo’s win over Lara was far from convincing. The judges gave the more popular Canelo the victory by the scores of 115-113 and 117-111 for Canelo, and 115-113, but boxing fans are still largely split down the middle about who really won the fight. At this point Canelo needs to step up to the plate and give Lara a rematch much like Floyd Mayweather Jr agreed to give Marcos Maidana a rematch to clear up the controversy over his narrow win over the Argentinian fighter. Mayweather actually did appear to beat Maidana last May, unlike the Canelo-Lara fight, which appeared to be a draw at best. Chepo’s words of wisdom failed to help Canelo in the Lara fight, because “throwing bombs” only led to Canelo looking bad because of him missing badly each time he swung wildly trying to hit the elusive Lara. But that is kind of scary to know that Chepo’s plan of attack is to throw bombs. You’d like to hear something more complicated than that. The controversy over Canelo’s “win” over Lara isn’t going to go away if he decides to move on and fight other opponents. It’s going to follow him around and leave a skunk-like odor until he eventually realizes that he’s got unfinished business with Lara. Canelo can’t walk away from fights where there wasn’t a clear winner like the Lara. Canelo already had a fight that was close to being a draw against Austin Trout last year. The judges scored it overwhelmingly in Canelo’s favor though, but the fight was essentially a draw. Canelo needs to follow Mayweather’s example and fight Lara again because the boxing world doesn’t see him as having passed that test. What many boxing fans see is Canelo, the more popular fighter than Lara, being given a decision that was more of a hometown decision than a real one.